It is the dawn of the French revolution and masses of hungry peasants burn wealthy chateaus throughout France. After the death of his estranged family, eighteen year-old nobleman, Marcel de la Croix, is forced to raise the royalist banner, despite his own revolutionary leanings. 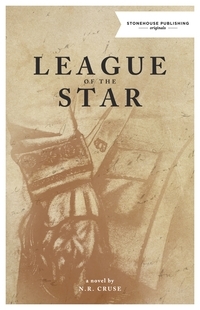 The wreck of his family fortress becomes a bastion for newly disenfranchised aristocrats, and Marcel and his fiery associate, Pierre Lafont, lead a rebel group called the ‘League of the Star’. After a bitter falling out with Lafont, Marcel escapes to England, hoping to put the past behind him. In England he encounters several French emigres: the large, brutish former soldier, M. Tolouse, the haughty Mlle. de Courteline, and the sheltered Mlle. Vallon. As these traveling exiles are forced together, a young servant begins to intrigue them with a mysterious tale of love. Can a simple love story, begun to entertain the weary travellers, hold the key to Marcel’s fate?